Dr. DeRose earned her Bachelors Degree from Minnesota State University Moorhead in 2001 and graduated with distinction from Pacific University College of Optometry in 2005. 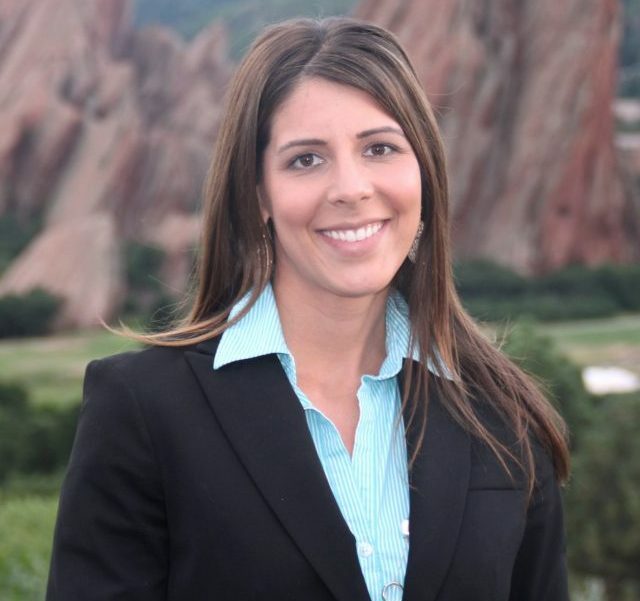 She was President of the Colorado Optometric Association in 2014-15, and was selected as the 2011 Young Optometrist of the Year. Dr. DeRose is a member of the Vision & Learning Forum, American Optometric Association, Colorado Optometric Association, and the College of Optometrists in Vision Development. She has volunteered for numerous community vision screenings and has traveled with the Lions Club and AMIGOS Eyecare on mission trips to Guatemala and Mexico. Dr. DeRose completed her thesis study on sports performance enhancing contact lenses. She now practices full scope optometry with special interests in pediatrics and sports vision. Dr. DeRose is married to Jim and they have an Old English Sheepdog named Molly. They enjoy golfing, skiing, hiking, and traveling.